in the Royal Albert Hall. 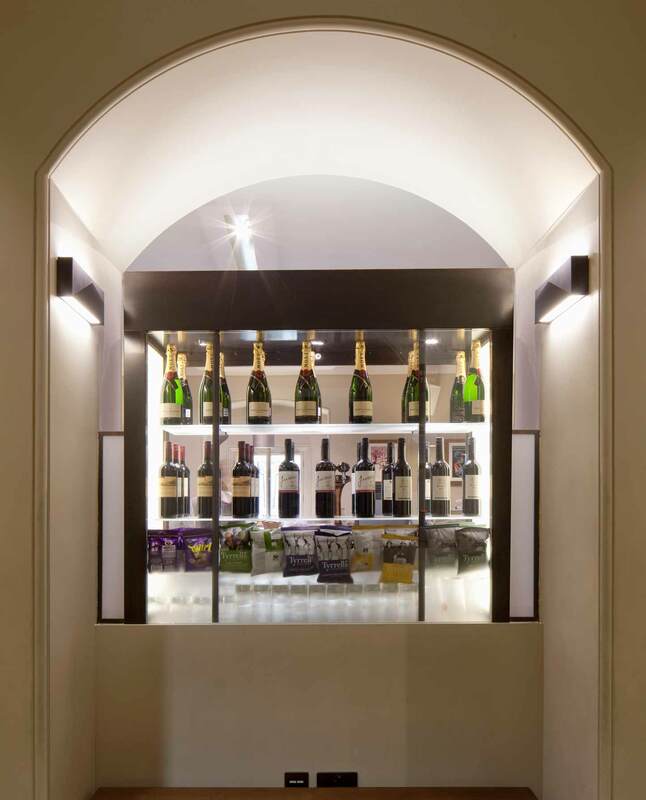 The recently restored south entrance foyer of this Grade I listed building contains a refreshing blend of old and new: historic architecture and building materials are juxtaposed with deliberately contemporary furniture and interior design. 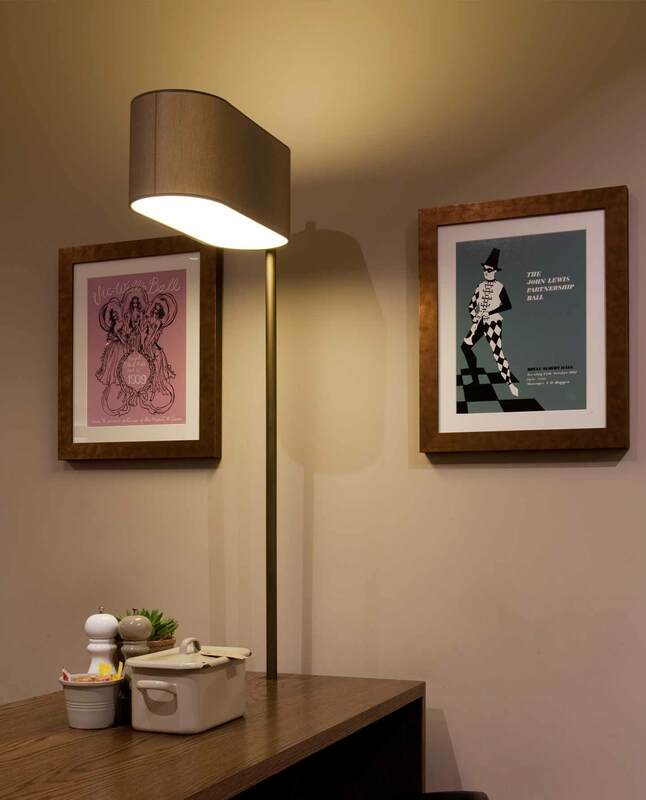 A lighting design scheme was required to unify these traditional and modern elements but also stand out as stunning, noteworthy features in themselves. We created three bespoke pieces for the multi-purpose foyer – which consists of a cafe, retail outlet, box office and general meeting area. The first piece is a suspended line of luminaires, finished in bronze and placed immediately inside the entrance area. It contains both direct downward spotlights (for texture and ambience at night time) and indirect diffused lighting (for subtle brightness during the day). 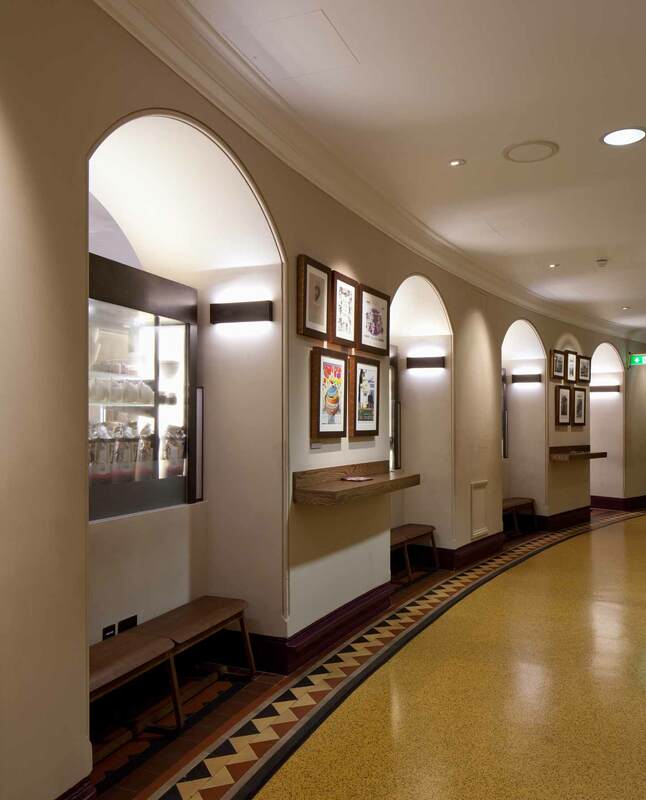 The bronze theme is extended to our up/down wall lights mounted along the corridor, which provide a gentle wash of light from within the arches of the establishment. For the dining tables in the cafe, we chose to design table-mounted fixtures rather than traditional overhead ceiling pendants. Their modern appearance makes them an interesting table feature, and they distribute good levels of lighting for both the diners and the space in general.